Andrew Nicholson, Regional Archaeologist for Dumfries and Galloway, on this fascinating window on a formative period in the story of Scotland. Thur 6th Dec at 7pm in Purdie Lecture Theatre C.
This talk will look at the archaeological evidence for the First World War in Scotland. 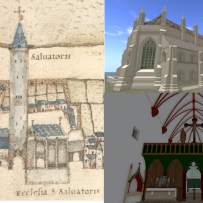 The Mediaeval St Andrews App project, a collaboration between the Schools of History, Classics and Computer Science, has been awarded a University Teaching Development Award to help fund a key development phase. 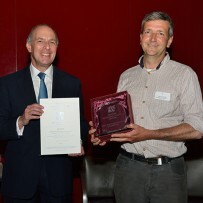 The St Andrews School of History is delighted to hear that SCAPE (Scottish Coastal Archaeology and the Problem of Erosion) has won two of five awards at the biennial British Archaeological Awards 2014.